With health needs and health networks both on the increase, you may be looking into a healthcare administration career. Healthcare administration jobs are becoming some of the most important and needed jobs in a healthcare system that grows increasingly complex. Good leadership skills and appropriate education can help prepare you for an interesting career in a diversity of healthcare settings. As you think about launching into a healthcare administration career, you'll want to assess whether or not you have the temperament and interests to pursue this kind of work. Although a wide variety of healthcare administration jobs exist in both public and private spheres, about 40 percent of healthcare administrators end up working in a hospital setting. Since healthcare administrators generally act as managers, either of small segments of a facility or of larger facilities or even networks, having good energy, flexibility and a willingness to work long hours are all important. Strong leadership and people skills and the ability to multi-task, organize lots of information and communicate clearly also come in handy. Once you've decided that this kind of career is right for you, you'll need to consider what kind of education is required for the specific level of healthcare management in which you hope to work. If you are already working in the healthcare field, for example as a nurse, it's possible that you can use your knowledge and practical experience to gain a foothold in the healthcare administration path without needing much further schooling. Typically, however, most healthcare administration jobs require at least a four year bachelor's degree in healthcare administration or management. While the coursework for a BHA degree will vary, depending on the school and on any special field of emphasis you may decide to pursue, most will include some managerial, business and finance courses since those are skills that all healthcare administrators are likely to need. Although a BHA may prove to be enough to get you started in the field, you may find that an advanced degree will open even more doors later on. While a BHA degree can be fairly generalist, a Masters in Healthcare Administration (MHA) usually provides more room for specialization. If you want to get into higher levels of management, particularly managing full scale hospital or healthcare networks, such an advanced degree may turn out to be necessary. The more advanced your education and the higher level your management position, the more likely it is that you will earn on the higher end of the salary spectrum for healthcare administrators, who can earn anywhere from 40,000 to 110,000 dollars annually. A good place to start researching into a healthcare administration career is the Association of University Programs in Healthcare Administration (AUPHA) website. There you will find career advice, publications, a resource center and other documents and articles that can get you thinking in the right direction. Schedule a time to speak with an actual healthcare administrator who is willing to share with you about their own career path and what the job is actually like. During your healthcare administration studies, you will probably also work with professional mentors with experience in the field. 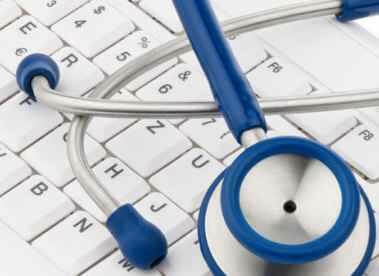 For more information, check out "Top 10 Best Online Healthcare Administration Degree Programs 2014".